Witness how big dreams turn into a stunning reality. Tori Kelly's journey and sweeping victory as a music artist call for a celebration. She's now out on the road giving back the love to her most loyal followers who have supported her throughout her short but sweet American Idol journey and her online endeavors on YouTube This tour de force takes her to key cities all over the country, and one of her most important stops will be right here at the Queen Elizabeth Theatre on Saturday 16th March 2019. Tori Kelly's most ardent viewers will now turn to rabid ticket buyers. Act fast before tickets sell out. Don't miss it! 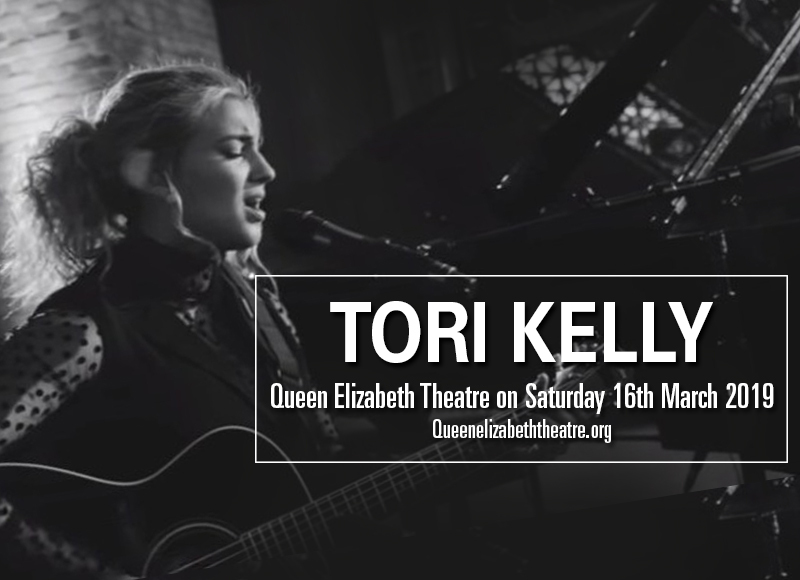 Tori Kelly' musical journey is synonymous with her real name -Victoria. From one set back after another, Tori never gave up on the dream. At a very young age, she started joining singing competitions including America's Most Talented Kids. Then at age 12, she was offered a record deal which fell through. Undaunted, she pursued and worked hard at her craft and started uploading cover videos on YouTube. A cover of Frank Ocean’s “Thinkin Bout You” was the breakthrough video that brought 21 million views to date and counting. She aimed to go beyond her online success by auditioning for season 9 of American Idol in Denver Colorado. Yet the road to Hollywood was cut short. She made it through Hollywood week but was cut out from the Top 24. Kelly took on a different approach to her musicality by honing her songwriting chops and learning to play the guitar. Soon enough, she attracted a whole new set of audience. With a burgeoning new sound and style, a major record label took her under their wing and released her debut studio album, "Unbreakable Smile" in 2015. With no derails this time, the album swiftly climbed and peaked at number 2 on the Billboard 200 charts. Tori Kelly also covered more ground and territories as her songs charted in Australia, New Zealand, and Canada. Her most notable hits include "Mr. Music," "Nobody Love," "Should've Been Us," "Hollow," "Fill a Heart (Child Hunger Ends Here)," "Dear No One," and "Bring Me Home." An added feather to her cap were her collaborations with superstars like Professor Green, Ed Sheeran, Pentatonix, and Traphik. Join this victory party, celebrate the musical triumph of Tori Kelly. Book your tickets now!